Published on September 23, 2010 in Caribbean, Court, General T&T, International, Law, Media, People's Partnership, PNM and Politics. 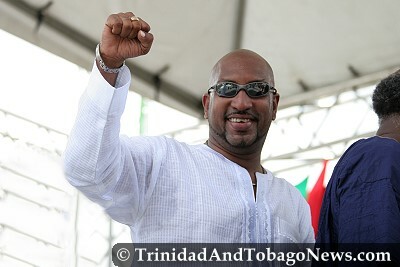 49 Comments Tags: Anil Roberts, Kamla Persad-Bissessar, Politics, Selwyn R. Cudjoe, Tim Gopeesingh, USA. A few days ago the Honorary Prime Minister, Kamla Persad Bissessar addressed the United Nations General Assembly. Among other things she recognized that “the passport out of poverty is through education, community empowerment and social entrepreneurship.” She also acknoweldged that 16.7 percent of our people still live below the poverty line; 11.7 per cent are considered working poor whereas 9 per cent are deemed vulnerable. The goal, she says, is to reduce poverty by 2 per cent per year.